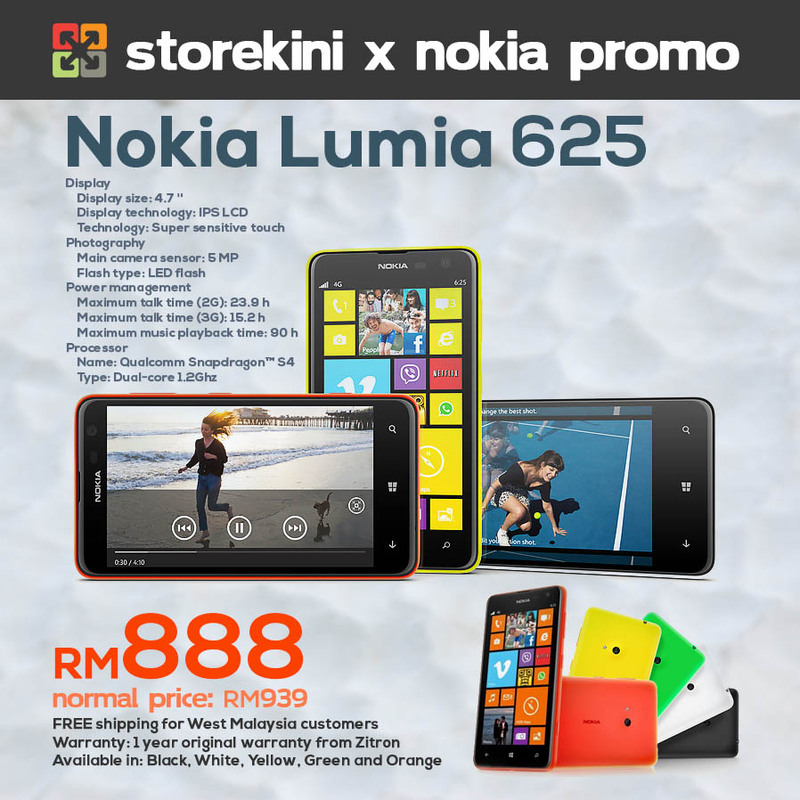 The Nokia Lumia 625 has finally landed in Malaysia with a retail price of RM939 but wait, you can preorder it now on Storekini for a discounted price of only RM888. Storekini has just opened up its preorder page for the device, which will run from 29 August 2013 to 5 September 2013 so what are you waiting for? Visit Storekini now to get your very own 4.7” Nokia Lumia device. The Lumia 625 is not only an affordable LTE smartphone, it is also the largest in the Lumia lineup of Windows Phone 8 devices so far. Check out our first look of the device in this link, or watch the video below to find out more about the latest smartphone from Nokia Malaysia. Preorder it from Storekini now, the estimated product shipment is on 9 September 2013.